installed three new members at their weekly meeting on February 17, 2016. 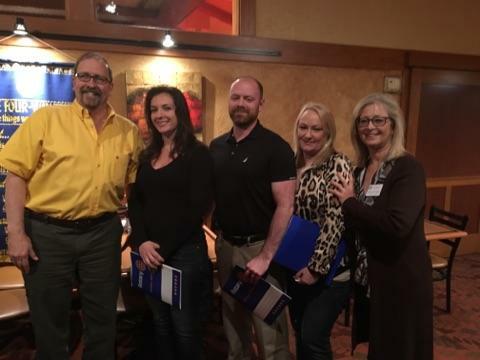 The new members were Lori Chambers, Brandon Youngblood and Lori Troise. 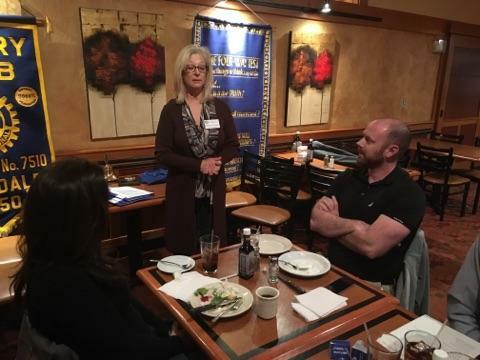 Club President Sharon Freeman conducted the ceremony and welcomed the new members to the club and presented them with their "Welcome to Rotary" packets and membership pins. 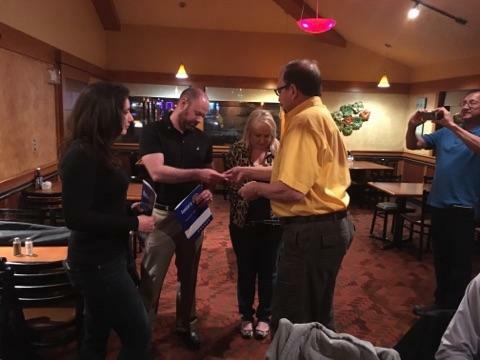 District Governor Randy Pote was in attendance as well and assisted Sharon with the ceremony by presenting the new members with District 5300 pins. The new members are a welcome addition to the Palmdale Club and we look forward to an exciting future with them on board.